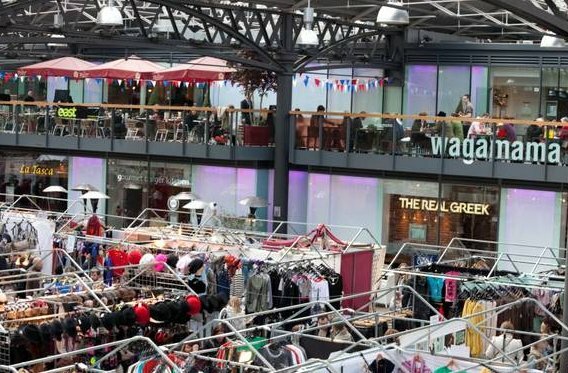 When planning a trip to London, staying in the 'City of London' area isn't usually anywhere near the top of our ideas list! It's the place with all the banks and businessmen isn't it? No...well yes...but there is so much more to explore and enjoy! It's a little style haven all on it's own. 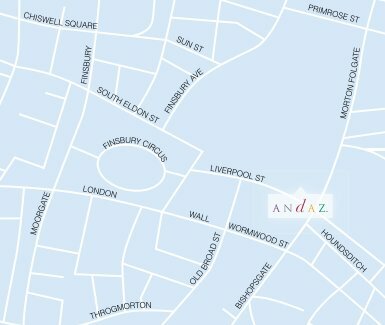 Being right next to Liverpool Street station, the Andaz London Liverpool St hotel is the perfect place to stay to explore the area, and to navigate London as a whole. It's a luxury 5-star hotel with a modern minimalist architecture. The sleek lobby with its wall of mirrors and sleek touchscreen check-in pads is a delight to experience. The rooms continue the sparse but accessible theme. Everything is in monochrome or pop colours, and smooth to the touch. Simplicity is everything here- you have what you need (and the best of it) but it's unobtrusive. Rooms have a complimentary healthy mini-bar, which is fabulous and contains waters, juices, soft drinks and snacks. 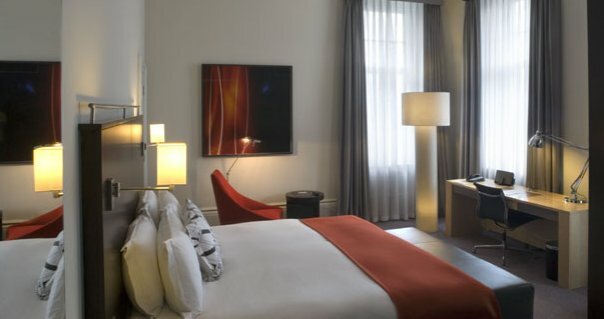 There is an iPod dock should you require it, a fast-fill bathtub (and robes) if you are in a hurry but still want a soak, excellent silent air conditioning, a flat screen LCD television and a large work desk with a modern Jacob Jacobson lamp (if your trip is some work and not all play). Queen size rooms cost from £199 with breakfast, leading to a Large Suite room from £384 per night. All rates include local calls from the in-room telephone too. Breakfast is also amazing; with the pancakes being far too good for anyone to pass on! Freshly homemade to order, they come with maple syrup, berries and crispy streaky bacon. Within a short walking distance of the Andaz is a host of stylish places to visit, shop and eat. The Royal Exchange on Threadneedle Street is one of London's best luxury shopping destinations; hosting stores from the likes of Lulu Guinness, Agent Provocateur, Gucci and Tiffany & Co. Strangely though, it is only open Monday to Friday; so make your trip a long weekend so you can catch it. In the other direction from the Andaz is Old Spitalfield's Market at Horner Square. This is another must do shopping experience. This old Victorian market hall hosts regular fairs, and is home to prime retail outlets and dining options such as Wagamama. 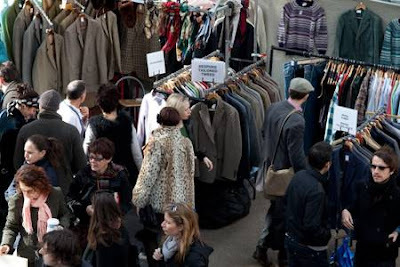 Sunday is the best day for the market experience, as stalls on this day stock a nice mixture of fashion and art. Culture and history are abundant in The City. 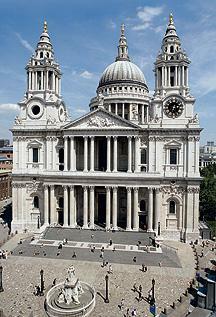 St.Paul's Cathedral is a short distance away, and is the perfect place for a lazy afternoon. 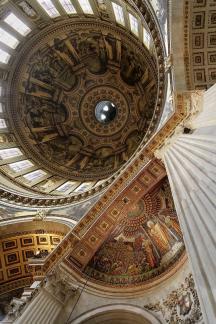 Sit inside and take some time out to look at the exquisite architecture and painting in the domed roof. Make sure you don't visit the cathedral without making a trip to the restaurant downstairs for afternoon tea. Their Afternoon Teas are delicious and excellent value for money. Staff are friendly and helpful; but leave you alone just to wile away the afternoon with cakes! Enjoy a selection of teas, some Carter's sparkling wine with apple, delicious cakes, scones with clotted cream & jam and a collection of neatly prepared finger sandwiches (£21.25 per person). Book a late dinner! 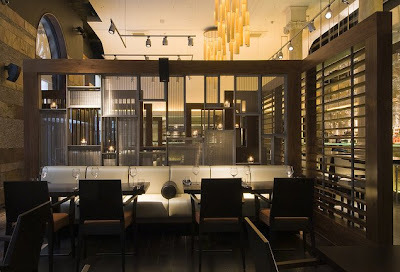 Mint Leaf Lounge & Restaurant in Bank is an amazing place to enjoy dinner. It's a dark bar and restaurant with a DJ that you would expect to find in the West End (and indeed you also do); but with its City work clientele, it makes it an excellent place for a quiet drink and dinner whilst also allowing you to feel that you have had a night out. 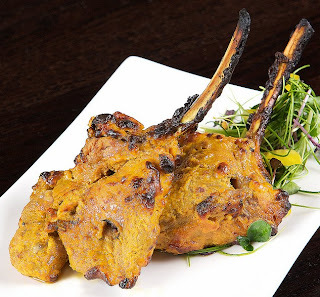 The food is Indian; although don't expect any of the stodgy bulky curries you get from the local takeaway. This is delicate food, all careful prepared and spiced. Everything is so flavorsome, that a little goes a long way! 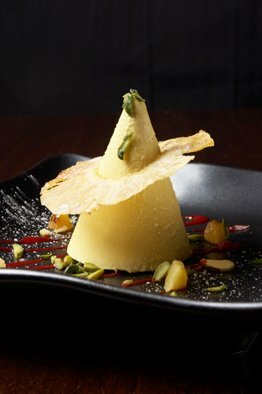 The staff are excellent, and know the menu inside out because they are passionate about it. We had Chicken Tikka (£9.50) as a starter which came with pickle. Not liking pickle, we requested it without it. Our waiter loved this dish, and explained that the pickle was the indeed best part. He encouraged us to try it as it was kept on the side. So we did, and he was not wrong! The City of London is not short of excellent dining options. 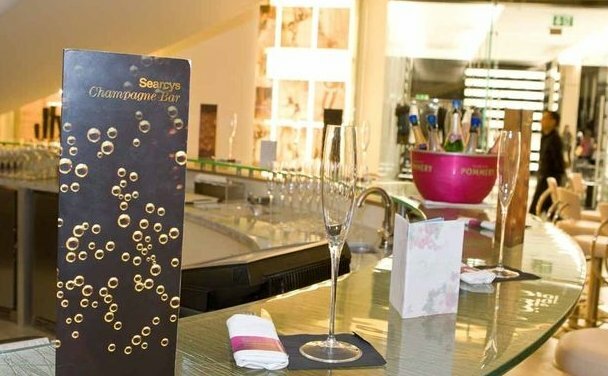 A superb choice for lunch is Searcy's Champagne Bar, just next to St.Paul's Cathedral at One New Change. Their sharing plates are great for lunch; washed down with a glass of champagne. We loved their Charcuterie and Cheese plates (£12 each), served with lots of fresh crusty bread. City of London really is a great place to spend a weekend...or longer! To find out more about this area, visit www.visitthecity.co.uk. Photos Copyright: Andaz/Hyatt, Mint Leaf, Searcy's Champagne Bars, St.Paul's Cathedral, Old Spitalfield's Market.